Regiment/Catrawd: 129th (Wentworth) Battalion, Canadian lnfantry. Service Rank and Number / Rheng gwasanaeth a rhif: Private No. 785000. Military Cemetery/Memorial / Fynwent milwrol: Cabaret-Rouge British Cemetery, Souchez, Pas de Calais. Ref No Grave or Memorial / Rhif cyfeirnod bedd: Plot: V11. Row: J. Grave No: 12. Killed by German Soldiers whilst a prisoner of war, aged 30 years. Henry Jones was born in Rhyl, Flintshire on 16 April 1887. The 1901 Census shows that the family lived at 37 Sisson Street, Rhyl, Flintshire. The head of the family was Hugh Jones aged 42, a Ship’s Carpenter. His wife Annie Jones aged 35 and their 8 (eight) children – William Edward Jones aged 17, who was employed as a Brick Setter, Henry Jones aged 15, Hugh Jones aged 13, Emma Elizabeth Jones aged 11, Albert L Jones aged 9, Thomas S Jones aged 6, Ann Mary Jones aged 4 and Esther Gladys Jones aged 1 year. Henry at some stage emigrated to Canada and lived at 132 Belmont Avenue, Hamilton, Ontario. During late 1915 he enlisted at the Recruitment Centre, Hamilton with 129th (Wentworth) Battalion, Canadian Expeditionary Force and sailed to England with the Canadian Forces in August 1916. In August 1917, the Canadian Corps attacked the City of Lens, France in order to relieve pressure on other allied troops fighting near Passchendaele. 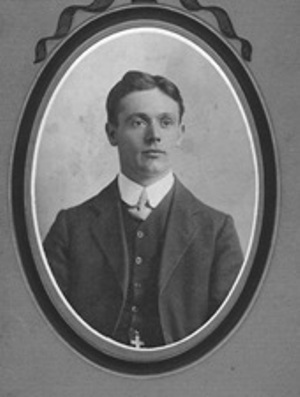 On Thursday 16 August 1917, Henry was one of 10 Canadian Soldiers of the Wentworth Battalion who had been captured on Hill 70 at Lens by the Germans. They were later found with their throats cut in one of the German trenches. As news filtered back to Canada of this atrocity an article appeared of the incident in the Toronto Star Newspaper. 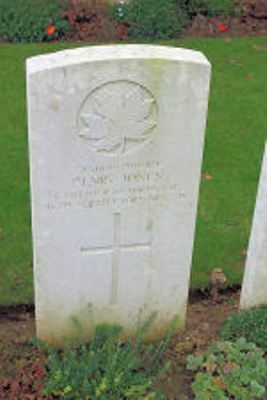 Photograph of the headstone of Private 785000 Henry Jones’s grave. 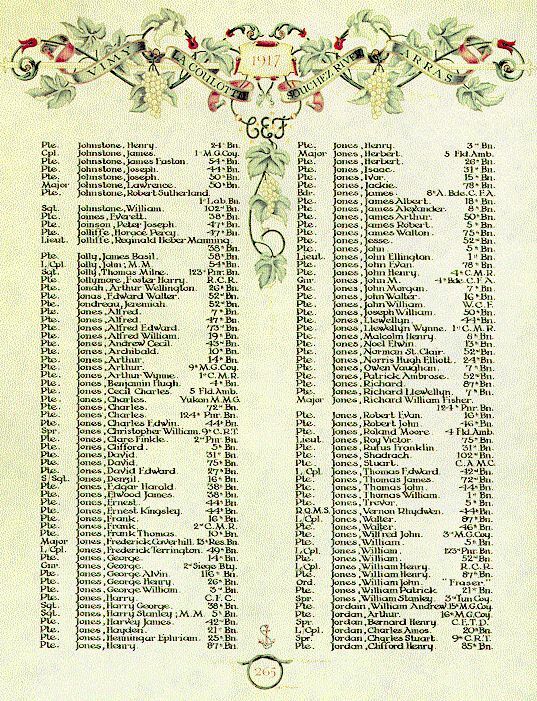 Henry Jones is commemorated on Page 265 of the First World War Veterans Affairs, Canada. Henry Jones is also remembered on a Remembrance Plaque at The Royal Alexandra Hospital, Marine Drive, Rhyl, Flintshire and on The North Wales Heroes Memorial Arch, Deiniol Road, Bangor, North Wales.